Center hosts Bob Richard with "Cody to Yellowstone—Beartooth Loop"
On the heels of two books about Yellowstone, historian Bob Richard shares his latest, Cody to Yellowstone, Beartooth Loop, on December 15 at the Buffalo Bill Center of the West. The free, illustrated talk takes place in the Center’s Coe Auditorium at 12:15 p.m.
With a lifetime spent in northwest Wyoming, Bob Richard knows a thing or two about the Greater Yellowstone region. 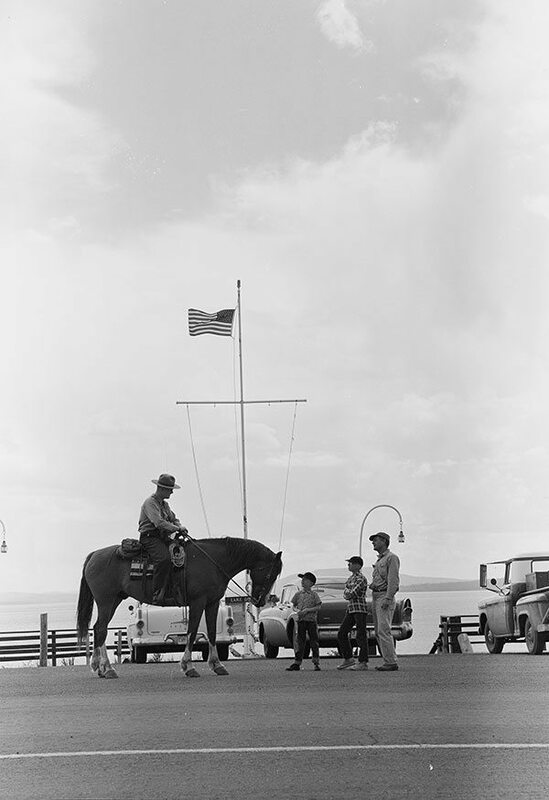 Factor in his tenure as ranger-on-a-horse in Yellowstone Park in the 1950s and his dad’s distinction as one of the region’s finest photographers (a picture-taking affinity shared by the younger Richard). Then, toss in the hundreds of Yellowstone area sightseeing tours he’s led, and the thousands of hours of Yellowstone area research and story-telling, and Richard has the makings of plenty of content at his disposal—and then some. Richard’s latest book is filled with photographs of the beautiful and scenic Chief Joseph Highway northwest of Cody leading to Cooke City, Montana, near the Park’s Northeast Gate. From there, Cody to Yellowstone, Beartooth Loop climbs to nearly 11,000 feet over Beartooth Pass, and then down into Red Lodge, Montana, and back to Cody Belfry, Montana, and Clark, Wyoming. Following the presentation, Richard signs copies of his latest book, available for sale in the Center’s Museum Store.